Saoirse Ronan stars in the coming of age dramedy "Lady Bird." HOLLYWOOD—It is a rare phenomenon to encounter a film that takes one back to his or her family, on top of that one that brings back the good, the bad and the ugly in regards to high school. 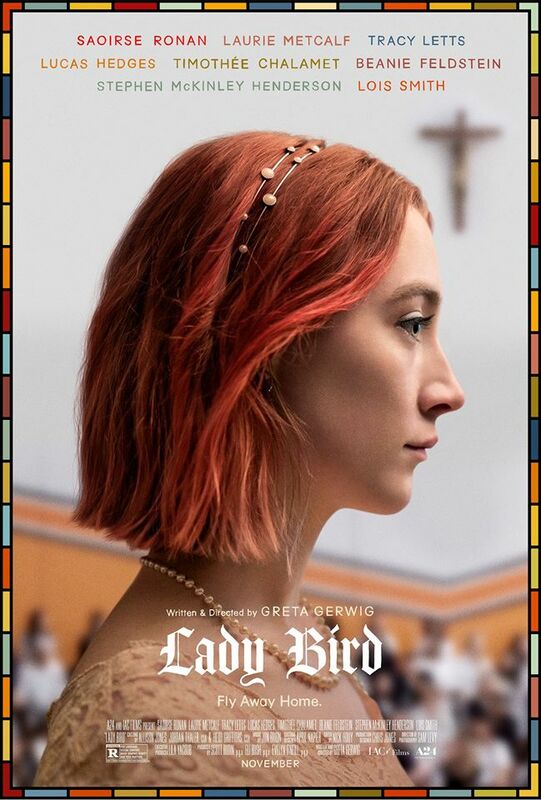 That movie is none other than “Lady Bird” expertly written and directed by Greta Gerwig that chronicles the life of Christine ‘Lady Bird’ McPherson played by Saoirse Ronan. The opening scene of the movie shows what seems like a normal relationship between Christine and her mother Marion (Laurie Metcalf), but the audience soon discovers mother and daughter have much more friction in their relationship than what meets the eye. That tension plays out throughout the entire movie where it’s a small boil, but eventually explodes near the film’s climax. Ronan is phenomenal in the role; and I say that with the utmost respect because Lady Bird is a character that is mesmerizing to watch on the big screen and I honestly can’t recall too many scenes where she doesn’t make an appearance or isn’t the focal point of a conversation. She is a teen like most Americans who is battling teen angst (dating, high school, popularity, friends, family turmoil and college). Watching “Lady Bird” will immediately put the spectator into a mindset where he or she is questioning rather they made the right decision regarding college. I mean I vividly recall being in similar footsteps as Lady Bird desperate to go to school as far as possible from home. Now that I reflect on it, the decision to go a distance, but not too far paid off in the long run. Christine doesn’t see that logic in the beginning; she is young, she is naïve and combative to the core. That presents the interesting dynamic she shares with Marion. Marion is extremely overprotective, condescending and at times mean spirited with her comments to her daughter. In Christine’s eyes, nothing she does will ever appease her mother. I mean this woman has a sharp tongue and does it without flinching. That is a testament to the fine acting from “Roseanne” star Metcalf. Metcalf is sensational in the role of Marion; the matriarch of the family that does all in her power to kept her family in tact in the midst of a crisis or trying times. I mean we never see this woman shed a tear, and when she does near the final moments of the film it’s gut-wrenching because the emotion that Marion feels, the audience also feels. I was ready to hand that Best Supporting Actress Oscar over to Allison Janney for her work in “I, Tonya,” but Metcalf brings such a level of heart and nuance to the character, it’s a performance hard to shake. Metcalf’s work is only heightened as a result of Ronan because these ladies have stellar chemistry on the screen. As a director, Gerwig gives the audience a piece of Sacramento that makes one actually fall in love with the city, all the while understanding Lady Bird’s desire to escape. Its fear; she knows if she stays in Sacramento she might end up like her brother or so many others who surround her: hence her mother and father. Lucas Hedges and Timothee Chalamet deliver fun roles as boys who orbit into Christine’s love life where she learns some harsh truths about love and boys. I loved Beanie Feldstrein as Julie Steffans, Lady Bird’s BFF who finds herself taking a backseat to her pal when she decides to align with the most popular girl in the school. There is so much to say about “Lady Bird” that this review simply won’t do it justice. Gerwig’s script is fresh, exhilarating, poignant, and beyond anything else has a tremendous level of heart. This movie is so well paced, it gets to the point that when the movie actually ends, you want it to continue going. Now that is extremely rare in the cinematic field America! Watching this movie gives you a sense of joy, happiness about life that sometimes we take for granted. “Lady Bird” has stellar acting, drama, comedy and delivers an important life lesson: you sometimes don’t appreciate the things in life that matter until you no longer have them in your orbit. Previous articleThe Super Bowl Commercials That Matter!